Emerson Knives, Inc. was founded in 1996 by custom knifemaker Ernest Emerson in Torrance, California. All Emerson knives are manufactured at their facility in Los Angeles, California. Emerson uses only the highest grade American made materials. It is a production knife company focused on mass-producing his folding knife designs for the US Military and collector markets. The Emerson Patriot Satin Finished Folding Knife is a tribute to our founding father, George Washington. This is a great tool for the working man, as it will always rise to the call of duty. 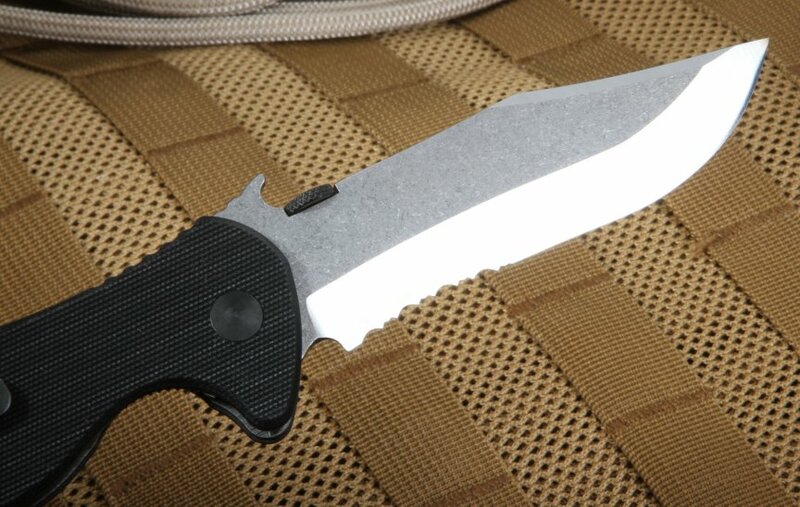 This tactical knife weighs 6.10 oz. The Patriot comes with optional partial serration. All Emerson blades are made with 154CM Steel. The Patriot blade measures .125 inch in thickness and 3.9 inch long. As with all Emerson knives, it is heat treated to a Rockwell hardness of 57-59. The blade style is Clip Point. The blade opens with ease using the patented Wave opening feature that is mounted on the top of the blade spine. 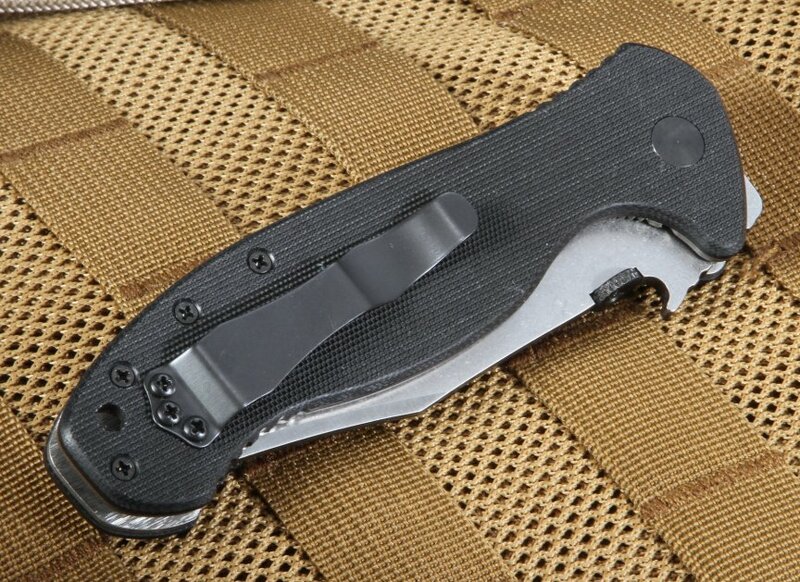 The Emerson wave makes opening one-handed from you pocket extremely fast. 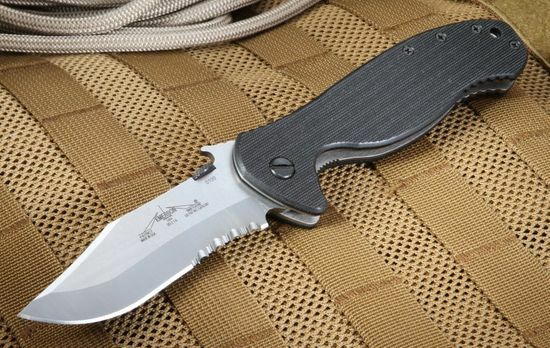 The Patriot pocket knife handle is built with a titanium liner lock design with black G-10 scales, which is made of a glass-filled epoxy laminate for impact resistance and durability. It is 0.54 inches thick and 5.25 inches long. It includes a thumb disk for quick opening. 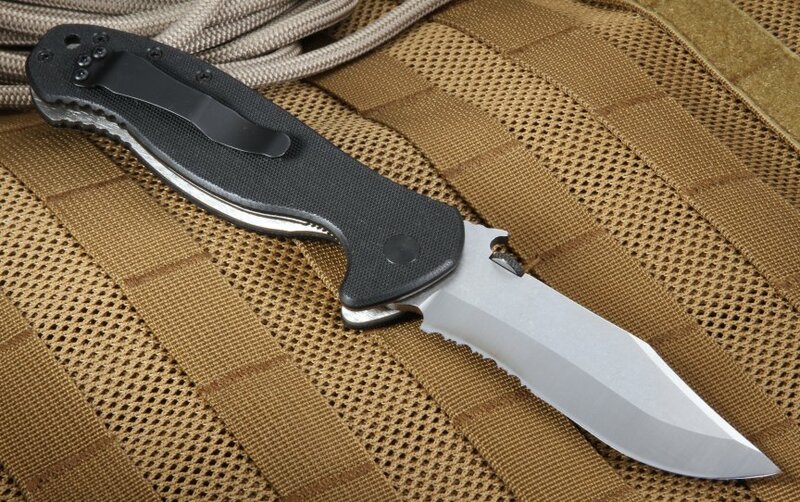 The Patriot features the patented Emerson Wave Opening, which allows a user to open the knife as it is removed from their pocket. It is a mark of a true Emerson knife, and is the most dynamic feature ever designed for folding knives. KnifeArt always guarantees fast, free US shipping. We are an authorized Emerson Brand dealer. We carry only a curated selection of top quality knives. Fast shipping, excellent knife. I always expect the best from Emerson, and that's what I got. First time dealing with Knife Art, won't be the last. Thanks!